Just when you thought the dust had settled, the scriveners of arcane metal lore invoke a fresh wave of dark and twisted dreams from worlds beyond our own. Join a cast of writers both new and old including Byron Roberts (Bal-Sagoth), Howie Bentley (Cauldron Born), Mike Browning (Nocturnus), E.C. Hellwell (Hellwell) and many more, PLUS a terrifying host of illustrations and an exclusive introduction by the legendary Mark Shelton (Manilla Road). 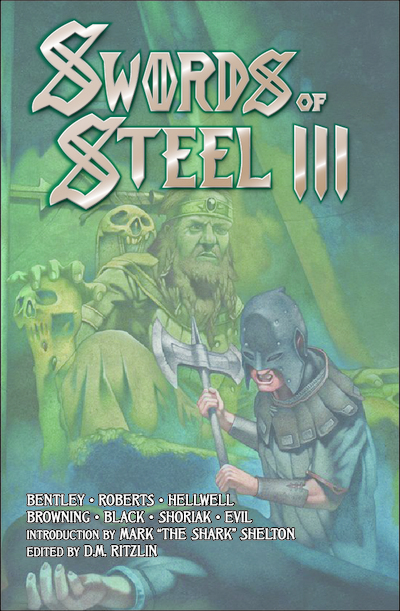 Charge into the fray with SWORDS OF STEEL III at your side!